Resolution and frame rate require a detailed explanation. Whereas GoPro Hero7 black and DJI Osmo pocket offer max. 4K resolution with a max. of 60fps. 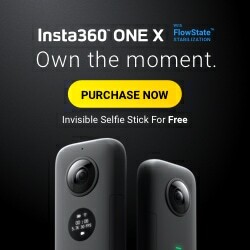 Insta360 One X offers max. 5.7k resolution with 30fps. But be aware that this specification refers to 360° videos. If you want to export a “traditional” 16:9 video, you will only get a 1080p video with 30fps. But you have the option to choose which angle of the 360° view you want to export. Hence you can record a video and select afterwards what you want to show. After comparing the specs I want to highlight some specs and settings to show you what these cameras have in common and what differs them. In this section I want to focus on characteristics that’s why I included some photos/videos shot with earlier models of respective camera. 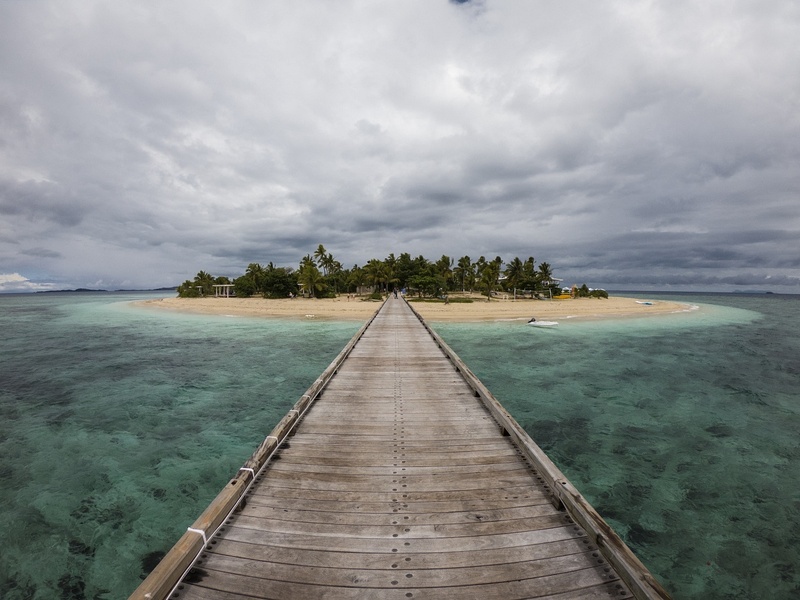 GoPro is distinguished for its very wide angle lens and the characteristic look. Some users prefer that, some oppose it. Especially because of the fisheye effect that results of such a wide angle lens when an object is close to the camera. However the wide angle has its benefits: the focal length is larger, hence the whole video is sharp and all objects are in focus. On the contrary many users favour a blurry background which looks a bit more cinematic. DJI Osmo Pocket offers that, but more on this later. The wide field of view is also beneficial when mounted close to the action as the video seems to be more dynamic. If you don’t want that fisheye effect, you can choose linear mode on GoPro, but be aware, the highest resolution available in this mode is 2.7K with 60fps – not 4K! 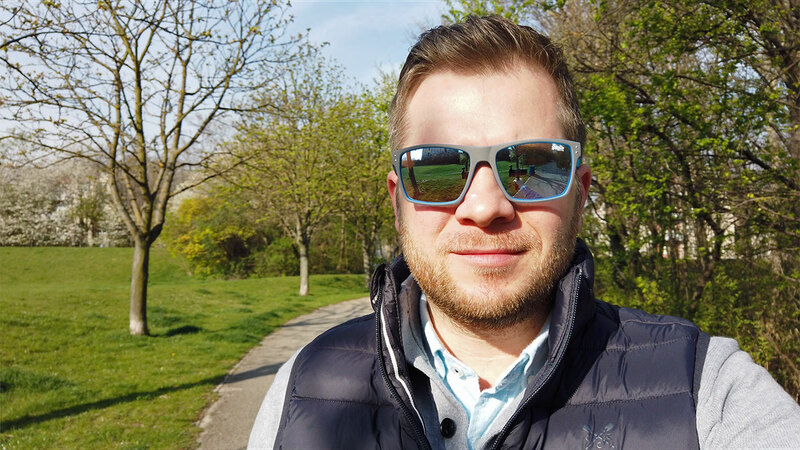 As many users dislike wide angle lenses with its fisheye effect, in that case DJI Osmo Pocket’s videos might be more appealing. It uses a narrower field of view lens and that results in less distortion of the image. The narrow angle lens also results in a shorter focal range and that gives you depth of field. In other words you can film yourself while in focus when the background is a bit blurry. On the downside you have to control focus and I experienced that it is often hard to fine tune. Especially when not using DJI Osmo Pocket with a smartphone. Continuous autofocus is available but often has some problems to lock an object. When Osmo tries to focus a moving object in continuous focus mode you notice that Osmo constantly tries to re-focus for a better result ending up with a jerky video. As for Insta360 One X we have to look at two different kinds of videos. Of course you can shoot a 360° video where the viewer can decide where to look at during playback. (Here’s an older video I took where I explained this feature at a time it was not that well known). 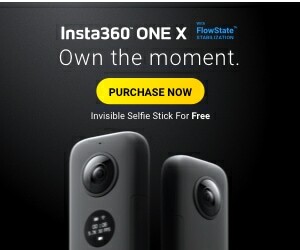 Of course that’s a unique feature for this camera the others don’t offer. It can be interesting for your travel videos or vlogs to let your viewer decide where to look at. The viewer can experience being part of a journey while reliving it. Best use-cases for 360° videos are situations where the camera is placed inside an airplane cockpit or on a race car. It’s awesome to get the impression to be part of the action. Best practice video: 360 camera inside an aerobatic fighter jet. The second kind of videos are “traditional” 16:9 videos. In that case Insta360 One X offers you the possibility to record everything that happens around the camera, giving you the control to choose after you’ve shot it! This comes in handy if the camera is mounted and you can’t access it during recording. 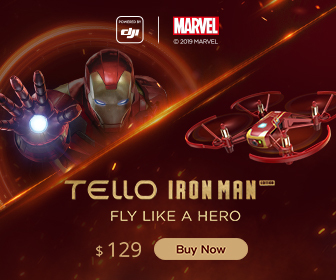 Another great feature is to create the so called “angel view” effect, an invisible flying camera like a drone, that follows you. On the downside the video quality is not as high as offered by the other two cameras. As stated the 5.7K resolution is spread over 360 degrees. When creating a 16:9 video only a section is chosen and zoomed in, so you end up with a 1080p resolution. Also take into consideration that postproduction (re-framing and exporting the 360° video to 16:9) takes some time and resources on your smartphone. As for this category it is important to decide which style of video you want to produce. For general travel videos, reviews (when you want to show details of products) or vlogs (when you talk straight into the camera) the fisheye effect can be unaesthetic. For landscape or action shots the wide angle lens is more beneficial. Insta360 One X is giving you the control to select what you want to show after you shot the video. That’s the strength of Insta360 rather than video quality. In this category we hat to look at two different systems: electronic stabilization and mechanic stabilization. 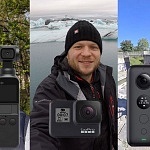 Even though GoPro markets Hero7 as a “no gimbal needed” camera you have to know that electronic image stabilization can benefit the video, but there are situations when it makes your video worse. 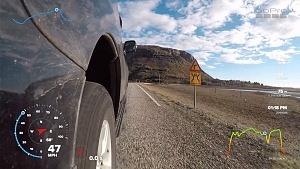 Electronic Image Stabilization (EIS) works like this: the camera zooms into (crops) the image a bit (about 10% on the GoPro), so there is additional image information available around the framed image. This extra space is used to level out the camera movements based on info gained from a gyro sensor. What are the negative effects? When you pan your camera the EIS still tries to stabilise your movement which actually makes the video jerky. But what’s the benefit of EIS? No mechanical parts that can break and therefore a robust camera. Anyway image stabilization on GoPro Hero7 seems to work like magic. The implemented software to stabilize the footage works very well indeed. And in most situations you really don’t need a gimbal anymore. Further EIS is not limited to a resolution or frame rate, you can use it with 4K 60fps setting, that’s an upgrade compared to Hero6 black (limited to 4K 30fps). Image stabilization on Insta360 One X works basically the same way, with an additional benefit. The camera doesn’t need to zoom into the frame or crop it to get additional image information for stabilizing the footage. All the image information from around the camera is available – 360°. So the camera just needs do level it based on the gyro sensor information. And that works for either 360° video or a rendered 16:9 video. DJI Osmo Pocket on the other side is using mechanical stabilization. Three tiny motors on tilt, pan & roll axis stabilize the whole camera. The recorded video doesn’t need to be electronically processed and corrected, it’s actually recorded that way. Best example is when recording in low light situations. As the camera is stabile itself you can benefit of a longer shutter speed and getting better, less-noisy footage in low light. On the downside the mechanical gimbal is influenced by external forces, e.g. wind. The filigree mechanical parts are not that well protected and could be damaged. 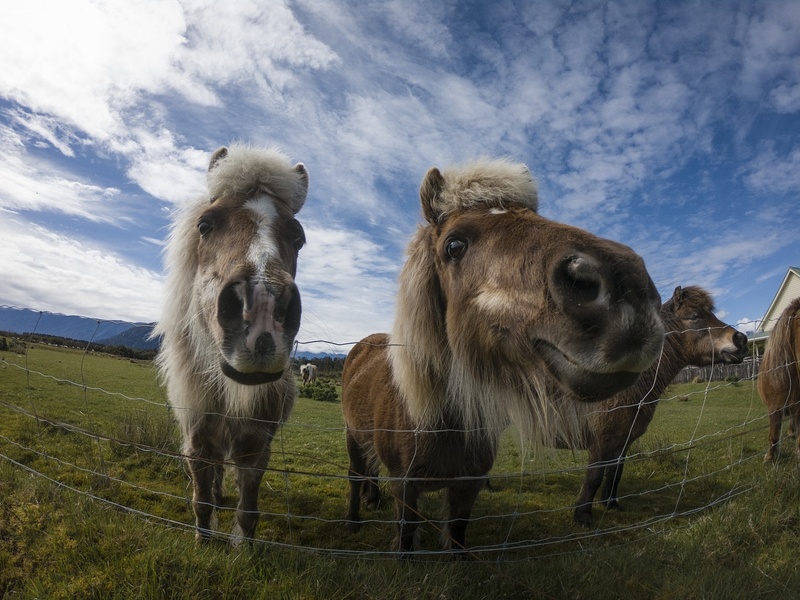 Similar, as explained for video characteristics, you will notice a fisheye effect in photos. Especially on the outer margin and when objects are close to the camera. A linear FOV mode is available, but not when taking RAW photos. Photos on GoPro Hero7 black are available in 4000 x 3000 (12 MP) resolution in .jpg or .gpr format. .gpr is GoPro’s RAW photo format that is recognised by Adobe Lightroom. The following photo was taken in RAW (and therefore wide FOV) and distortion corrected in Adobe Lightroom. So, it doesn’t work like magic to get rid of the fisheye effect. Notice that the framing is different and objects look stretched. In terms of 360° I see a lot more use-cases for photos rather than 360 videos. I believe that for viewers it is easier to explore a 360° photo rather than a 360° video. When publishing you are unfortunately limited to platforms: Facebook allows 360° photos, Instagram currently does not. 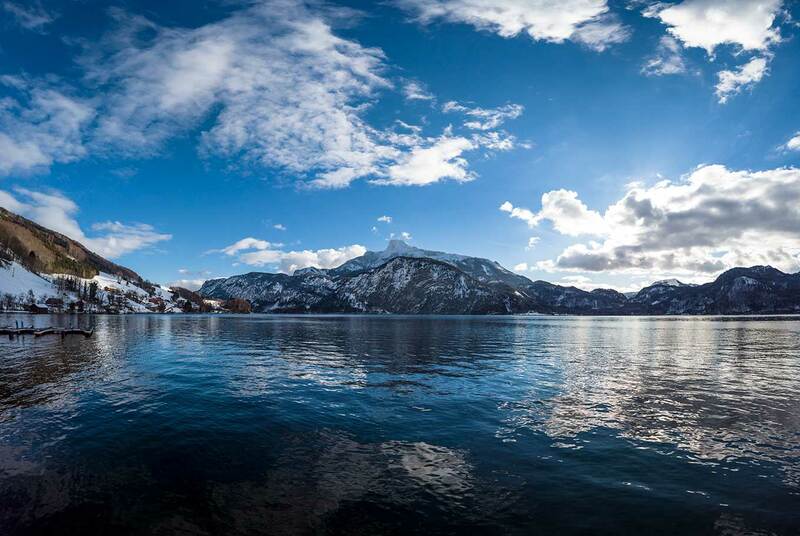 Besides the output of a 360° photo (available in 6080 x 3040 (18 MP) resolution – .jpg or .dng RAW) you can export a “flat” photo either with angle view effect or tiny planet. Some nice options you might want to try out that creates unique memories. Definitely a great feature, especially when you have to focus on several other things while vlogging. How does it work? On DJI Osmo Pocket you select an object or person and the gimbal’s head will follow it. The object doesn’t necessarily need to be centered, it can also be placed on the side of a frame which is very convenient. With Insta360 One X this is done in post production, you select a spot within your frame and the software renders a video where this spot is centered. So if you are doing a vlog and you are walking around talking into the camera you can mark your face. You don’t need to pay attention on the framing, it’s done by the camera. This feature is not available on GoPro. DJI Osmo Pocket, at least for me, has a major downside: the battery is built-in. You can power it via a power bank (so you can do with GoPro and Insta360) but then the handy size is gone. Hero7 black (be aware not silver and white edition!) as well as Insta360 One X feature an exchangeable battery. One feature that is highlighted in GoPro Hero7 black ads is “Time-Warp” time-lapse. It is basically a hyperlapse, a time-lapse when the camera is in motion, e.g. while walking. The better results on Hero7 black are achieved because of its advanced stabilization. But you can achieve similar results with DJI Osmo Pocket and Insta360 One X which is not particularly advertised. Another time-lapse method is motion timelapse, when the camera is panned and/or tilted. This can be done with DJI Osmo Pocket and Insta360 One X. 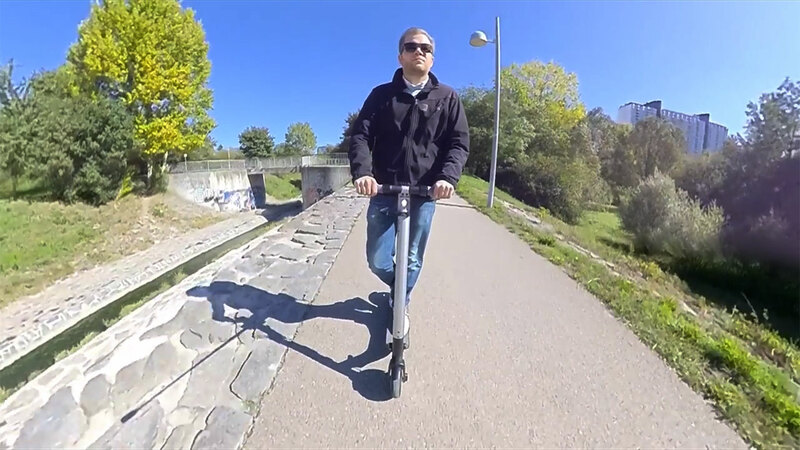 With Osmo you select a start and an end point and the gimbal moves the head accordingly. With Insta 360 One X you can achieve that in post production. Simply record a 360° time-lapse and set a start and end point while editing on your phone and export a 16:9 video. To realise that with your Hero7 you either need a gimbal that supports that feature, or as cheaper alternative, get a GoPro Panning device, which looks like an egg timer. Slow motion is a great effect especially when doing sports activities. I always like to point out that it is an effect rather than a feature as it is a result of recording a video with a higher frame rate and playing it at a lower frame rate. Hence you can slow down a 4K video on DJI Osmo Pocket and GoPro Hero7 black 50% (record at 60fps and playback at 30fps). In 1080p resolution the difference is more significant. 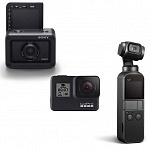 GoPro Hero7 black records 1080p with up to 240fps allowing a playback at 12,5% (8x) of the original speed while DJI Osmo pocket is limited to 120fps. An awesome slow motion mode on Insta360 One X is bullet time. When ordering the optional bullet time grip and selfie stick you can spin the camera around you to create this unique effect. Unfortunately bullet time is limited to 3K resolution for 360° video. What I really like about DJI Osmo Pocket and Insta360 One X is the fact that you can physically connect it with your smartphone. Data transfer is way faster than via wifi. Basically all the 3 unique apps work great. Transforming a 360 video into a traditional 16:9 video on Insta360 App works perfectly. You can set tracking, pivot points to adjust transformations or use your phone as a virtual viewfinder. However it takes quite some time to render those videos. You can cut the clips but im not super excited about the functionality. Cutting videos is way better with the GoPro app. Quick offers a lot of templates and auto-edits your videos based on the highlights. Great functionality to quickly get to an appealing result for sharing. I think DJI Mimo app is still at the beginning. It works great to operate the camera via the larger phone screen, but the editing tool is missing some features. DJI introduced stories which is similar to Quick, but it lacks options to personalize the video. I hope there will be further improvements. GoPro Hero7 black and Insta360 One X record GPS information which can be visualized in videos e.g. a speedometer. I like that feature especially in combination with motovlogs and car sports. DJI Osmo Pocket does not offer a similar feature, it might be implemented, since it could obtain that data from the smartphone. GoPro Hero7 black is the first GoPro that can livestream to sites like Facebook and YouTube. Insta360 One X also allows to livestream where you can control what the viewer sees. DJI Osmo Pocket currently doesn’t support livestream, but again, it shouldn’t be hard to implement with a smartphone attached, let’s see if that is coming. 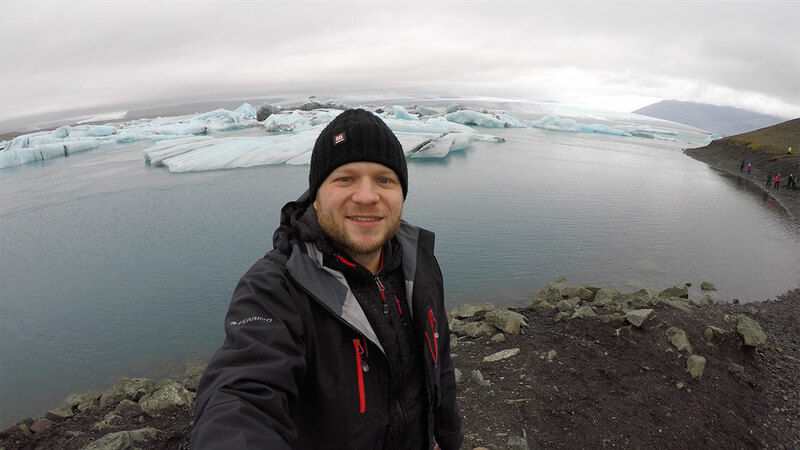 Voice Control is really great feature for selfies when your GoPro is mounted on a stick. You don’t need a remote controller, just shout “GoPro take a photo”. There is a specific Osmo Pocket Selfie Stick, that holds buttons to operate the camera, but you are dependant on this expensive device. I also recommend getting the specific selfie stick for Insta 360 One X as it is invisible to the camera. That’s great compared to the other cameras where you will always see the stick within the image. Although there is no remote integrated, you have define via app to use the 3x button press as selfie timer. GoPro has a durable design and is the toughest camera among them. If the lens scratches, no problem you can replace the outer layer easily und inexpensively. 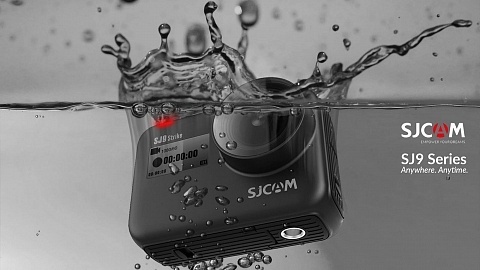 The camera is waterproof up to 10m without a case. 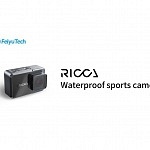 The other two cameras are vulnerable, especially DJI Osmo Pocket with its filigree gimbal. Both cams don’t have a protected lens. There are optional cases to make them waterproof. 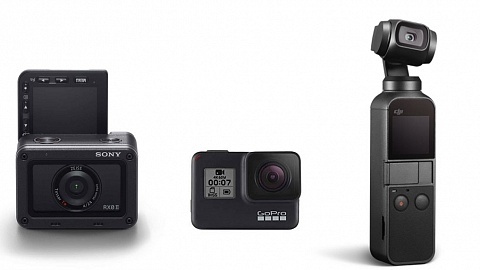 All in all that’s the feature to define an “action camera”, a category that is branded GoPro. I recommend buying on Amazon, prices are mostly below the recommended retail price on GoPro’s website. Occasionally the run promotions on their website. Insta360 run their own webshop and they ship for free worldwide. Retail price is 399.95 USD; when using this link you get the invisible selfie stick for free. Insta360 One X is also sold on Chinese online retail stores where I buy frequently. They often offer coupon codes. I recommend going for the best price despite the retailer. 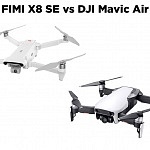 I recommend buying at DJI store directly; they ship for free worldwide and you get the best support (from local DJI branches) in case something is wrong. I experienced great support and fast replacement of my crashed Mavic Air drone. 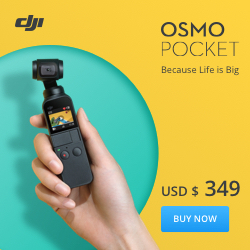 You can compare with Amazon offers, but DJI Osmo Pocket is not sold directly by Amazon! All cameras are impressive kits with their own quirks and special in their own way. It is not possible to determine which is the best camera. It’s a matter of which camera is the most suitable for which situation. GoPro is ideal for intense action shots in rough environment when it is dusty or wet. You can pep up your sports shots with super slowmotion or data of your activities. 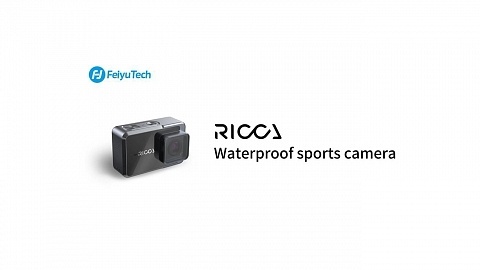 Still it delivers high resolution video footage very smooth stabilized. DJI Osmo Pocket seems to be the better choice for vloggers and general travel user. When talking into the camera your face is not distorted by the fisheye effect. The mechanical gimbal provides not only super smooth videos it also excels results in low light situations. Insta360 One X is an impressive versatile camera. Either let your viewers experience locations on their own in a 360° environment. Or choose what you want to show after you recorded the video. Create unique effects when the camera is flying in front of you without a stick being visible. It also combines features of both other cameras: you can benefit from motion time-lapse and object tracking while still having a camera without mechanical parts. However that’s at cost of not having a 4K 16:9 resolution. 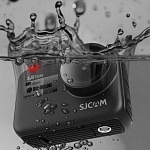 OlderSJCAM SJ9 Strike & SJ9 Max – Waterproof without case!